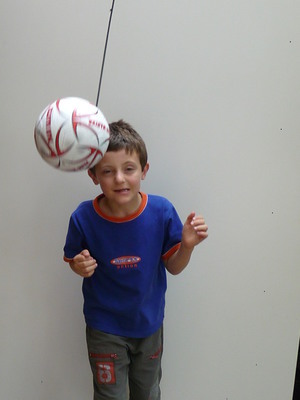 Size 3 Soccer Training Ball is a MUST have for any Young Soccer Player. 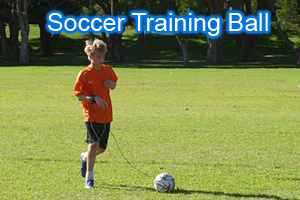 The Soccer Training Ball is perfect training ball for solo training at home, in the park or at soccer training. Easy to use. Increase your football skills in just a matter of minutes. Improve ball control, juggling, agility and your concentration. In just a matter of minutes. 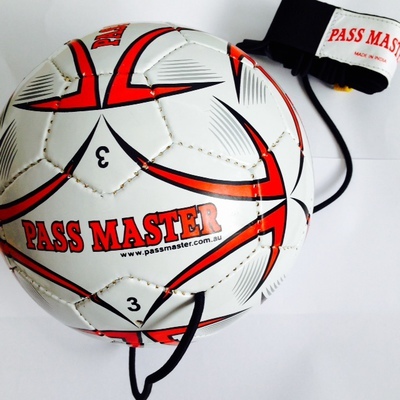 The Pass Master Soccer Training Ball, has been designed for soccer players to help master the different skills a player needs to play soccer. 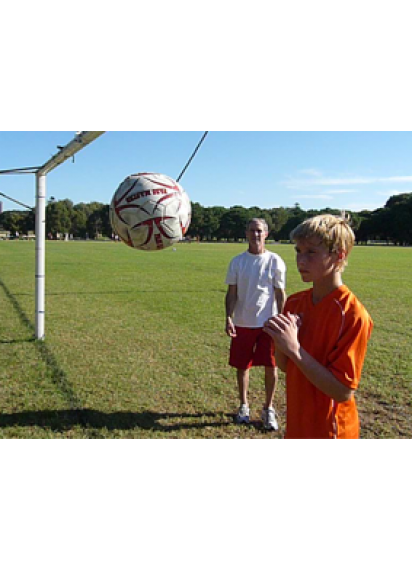 Practice your kicking, kicking for goal, passing while on the run, heading the ball, as well as many other soccer ball skills. 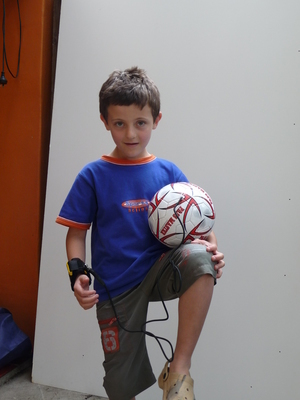 This is a brilliant way to increase your total all round soccer skills. For players new to playing soccer, this training ball will Help YOU develop YOUR hand/eye coordination, confidence and sensory coordination skills such as kicking, passing, throwing and dribbling. If you kick with your RIGHT Foot. Attach the wrist band the RIGH Wrist. If you kick with your LETF Foot. Attach the wrist band to the Left Wrist, its that simple. Coaches will be amazed how quickly players skills increse. 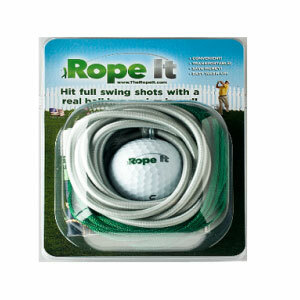 Manufactured from high quality 3 ply, 2.5mm cushioned PVC synthetic material with Butal Bladder for longer air retention. 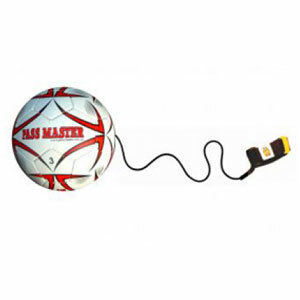 Attached to the soccer ball is a length of durable high quality bungee cord. A metal swivel is fitted between the comfortable wrist strap and bungee cord. This will stop any twisting of the cord. Build Champion Soccer football Skills FAST!!! IMPORTANT: If you purchase any training ball between 15 Dec and 20 Dec, your package will be EXPRESS POSTED to your desired address. 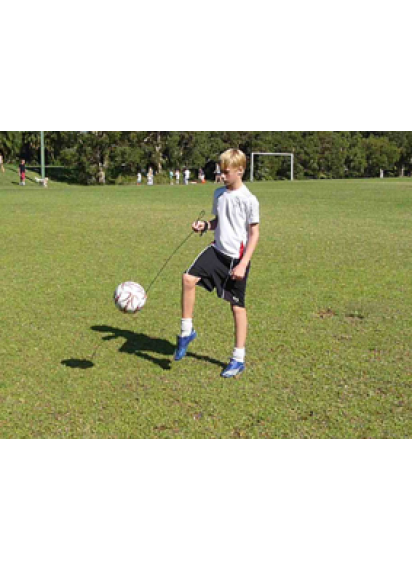 For players new to playing soccer, this training ball will Help YOU develop YOUR Hand/Eye Coordination, Confidence and Sensory Coordination skills such as Kicking, Passing, Throwing In and Dribbling. If you kick with your LEFT Foot. Attach the wrist band to the Left Wrist, its that simple. International Customers Welcome. Just call or Email.